On September 22, 2018, the wreckage of a Piper PA-12 airplane, N7511H, was located in an area of mountainous terrain about 35 miles east of Healy, Alaska. The accident occurred at an unknown time between September 15 and September 22. The private pilot and the passenger sustained fatal injuries, and the airplane sustained substantial damage. The airplane was registered to the pilot, who operated the airplane under the provisions of Title 14 Code of Federal Regulations Part 91 as a visual flight rules personal flight when the accident occurred. With no definitive accident date at this time, exact meteorological conditions are unknown, and no flight plan had been filed. 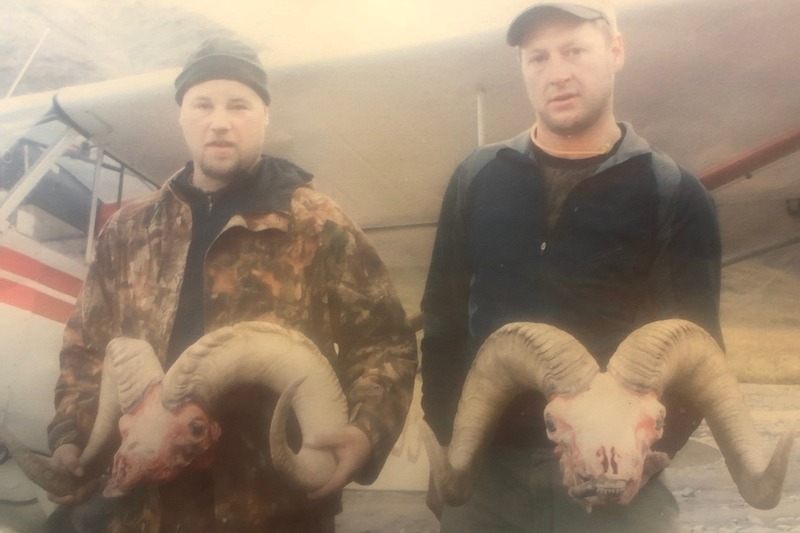 According to family and friends of the two occupants, the airplane departed from Fairbanks International Airport on September 15 in support of a sheep hunt in the Alaska Range. The family reported that it was not uncommon for the pilot to take off and not tell anyone where he was going. When the airplane did not return, family members reported it missing, and the Federal Aviation Administration (FAA) issued an alert notice (ALNOT) on September 19 at 1620 Alaska daylight time. No emergency locator transmitter (ELT) signal was received. After being notified of an overdue airplane, search and rescue personnel from the Air National Guard's 210th Air Rescue Squadron, Alaska Army National Guard, Civil Air Patrol, Alaska State Troopers and Good Samaritans, began a search for the missing airplane. On September 22, about 1600, searchers located the incinerated wreckage of the accident airplane, but poor weather prevented searchers from reaching the site until the next morning. The following morning the crew of an Air National Guard HH-60G helicopter reached the accident site and confirmed that both occupants had died. On September 26, two National Transportation Safety Board investigators reached the accident site. The airplane was located in an area of mountainous, tree and snow-covered terrain at an elevation of 4,300 ft mean sea level. A postcrash fire incinerated a large portion of the airplane's fuselage and portions of both wings. The airplane was equipped with a Lycoming O-320 series engine. A detailed wreckage examination is pending recovery. FAIRBANKS — A search for two overdue hunters from Fairbanks and North Pole ended Sunday after their plane was found crashed with their bodies inside, according to Alaska State Troopers. Timothy Sonnenberg, 45, of Fairbanks, and Jason Roberts, 43, of North Pole, are believed to have died in the small aircraft that went down near the Japan Hills south of Fairbanks in the area of Wood River and Chutes Creek, according to trooper spokeswoman Megan Peters. They were reported overdue on Friday from a hunting trip to the Nenana River, a trooper report stated. The men reportedly left to hunt sheep Sept. 15; their last known coordinates were near the west fork of the Delta River. A search involving the Civil Air Patrol and other volunteers commenced. A pilot on Saturday reported seeing an aircraft south of Gold Creek that appeared to have burned. A military helicopter was sent to the site and confirmed Sunday that it was Sonnenberg’s plane. Authorities launched a body recovery effort, according to troopers. Family members of both men have been notified, troopers stated. An online Federal Aviation Administration database shows Sonnenberg flew a Piper PA-12, a fixed-wing, single-engine aircraft built in 1946. He was a licensed pilot though not instrument rated, according to another FAA database. Sonnenberg owned TS Construction in Fairbanks. Roberts coached wrestling at North Pole High School, according to his Facebook page. A GoFundMe campaign that was started Saturday to raise money for fuel for the search effort drew more than $25,000 in less than 24 hours. Attempts on Sunday to get information from the National Transportation Safety Board, which investigates every civil aviation accident in the United States, were unsuccessful. July 16, 2018: Landing gear collapsed and aircraft experienced a prop strike.